In the last post I wrote about the beautiful tree we bought, which coincidentally came with a house. This is an update. The keys were dropped off yesterday. We threw some bits and pieces in the back of the car, and spent the night on the hardwood floor of the empty living room. We woke to birds singing and sunlight streaming through the shuttered window blinds. Nice. We took a bottle of wine with us to celebrate our first night in the house. We drank the wine from the engraved goblets we were given as a wedding gift by David and Tiff (Nikki’s son and daughter-in-law). The same goblets that we took on our honeymoon road trip. The same ones we use on each anniversary, and the same ones we will use to celebrate every major event in the future. Nikki loves the kitchen, it’s her favourite room. 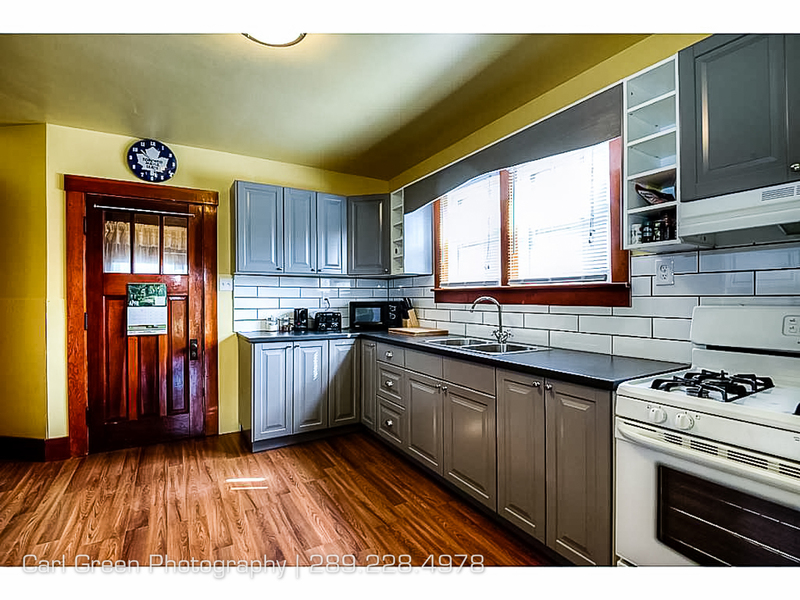 A new gas stove, a new fridge, and easy-close cabinet doors throughout, lots of them. Un-slammable. Try as hard as you can, they just whisper silently shut. Throw in the Lazy Susan, the double sink and the pantry, and I seriously worry I may never see Nikki in any other room: It’s big enough to put a bed in. Shh. Don’t give her ideas. I don’t have a favourite room, I kinda like them all. But I am looking forward to taking my first bath in ten years. Showering is efficient and quick, but there is nothing quite as relaxing as soaking in a tub for an hour and coming out pink, wrinkly, and stress free. The bath in this house is deep enough to do that, so I am going to the store today to buy a rubber duck. Maybe the bathroom will grow to be my favourite. Time will tell. I look forward to finding out.